Lidl is located in an ideal place on Gosbecks Road, a 2.11 mile drive south-west from the centre of Colchester, in Shrub End (near to Westlands Country Park and Gosbeck's Farm). The store is situated properly to serve those from the districts of Heckfordbridge, Lexden, Stanway, Colchester Town Centre, Beacon End, Old Heath, Shrub End and Stanway Green. If you'd like to visit today (Thursday), its business hours are from 8:00 am until 10:00 pm. On this page, you may find working times, address particulars, customer reviews and more information about LIDL Colchester, Gosbecks Road. Lidl can be found in an ideal spot immediately near the roundabout of Gosbecks Road and Cunobelin Way, in Shrub End, Colchester. Merely a 1 minute drive from Cunobelin Way, Hazell Avenue and Paxman Avenue; a 2 minute drive from Layer Road and Shrub End Road; and a 9 minute trip from Lexden Road, Cymbeline Way or Hythe Hill. Visitors using GPS units should use the following postcode to find this location: CO2 9JT. You can find bus stops in walking distance from the store, at Paxman Avenue and Centurion Way. Lines include the 64 and 64A. Visit the store from Colchester Town Train Station (2.05 mi) and Colchester Train Station (2.63 mi away). The current accessible line: Greater Anglia. Just a short walk away there is Philip Morant School and College, Gosbecks Primary School, Cheshunt Field, Colchester Zoo, Birch Grove Golf Club, Butcher's Wood and Shrub End Sports Ground. Today, LIDL operates 3 supermarkets in Colchester, Essex. 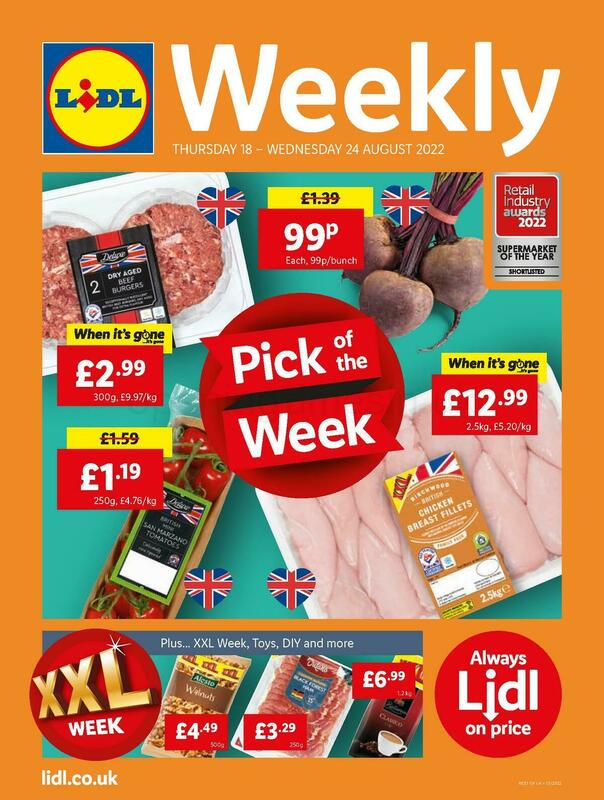 Click here to visit a complete directory of LIDL locations near Colchester. Over UK legal holidays, typical business times for LIDL in Colchester, Gosbecks Road may be revised. In the year of 2019 it involves Xmas, New Year's Day, Easter Monday or Summer Bank Holiday. It's suggested that you visit the official homepage or call the direct service number at 0800 977 7766 to get precise info about LIDL Colchester, Gosbecks Road holiday working hours. Opening Times in the UK is always striving to provide you with the most up-to-date information. Please feel free to make use of this form to report any errors with the place of business info or opening times for LIDL in Colchester, Gosbecks Road. You are welcome to support potential customers by submitting your opinions on LIDL, by using the star scale and the space below.